Only 1 size 10 currently in stock. 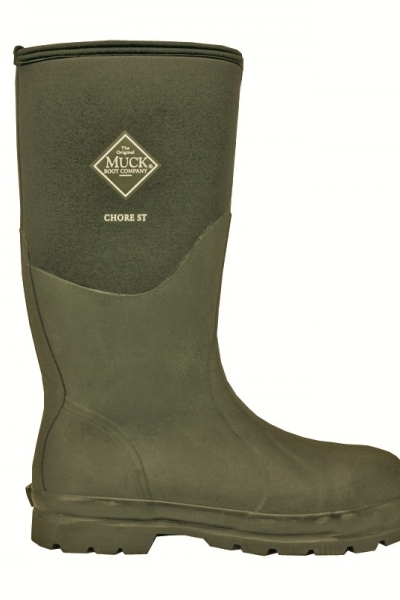 The Original Muck Boot Company is a rubber boot manufacturer for a variety of markets from outdoor/sporting, pet, and equine to lawn & garden. These 100% waterproof products are made with Breathable Airmesh™ lining and CR-grade foam for additional comfort. The Chore Steel has all the benefits of the Chore 2K, with a duel density oil-resistant rubber sole for suberb insulation, shock absorption and comfort with the addition of a steel toe cap and midsole. 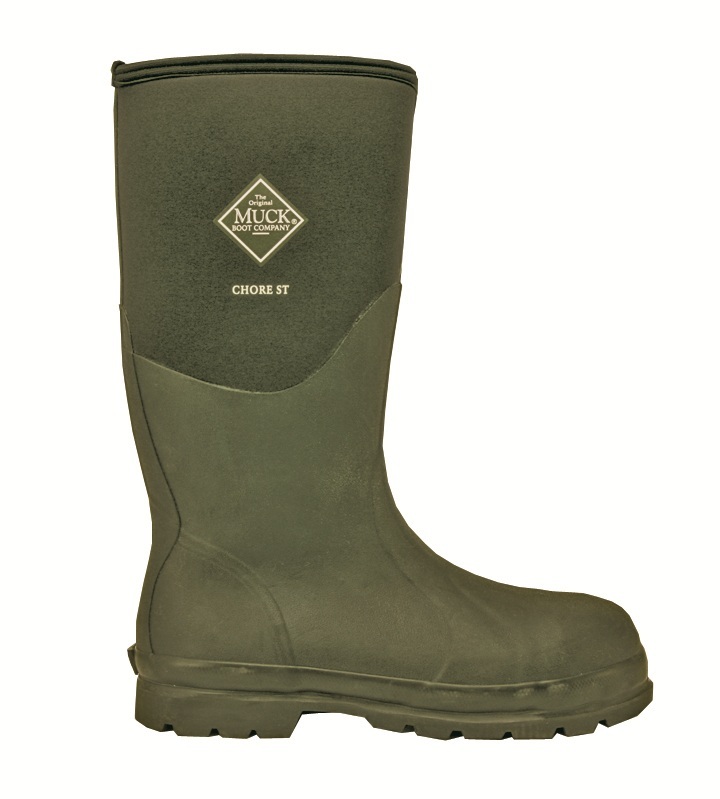 This makes the Chore Steel the ideal working boot where safety is a consideration. CR flex-foam bootie with four-way stretch nylon, lightweight, flexible, buoyant, and will form to virtually any calf girth. Stretch-fit topline binding snugs calf to keep warmth in and cold out. Deep cut, high grip tread. Steel toe cap, reinforced instep & heel. Steel shank for optimum arch support. Tough yet light in weight. Steel toe cap & midsole to EN ISO 20345-2004 SBP. Comfort range of sub zero to 29C.